Before the Ohio Bigfoot Conference 2015, which began with a dinner on May 15, speakers on May 16, and hikes on May 17, I had a talk with Marc DeWerth, the event’s organizer. I had a strong feeling a Bigfooter was going to die over the weekend. On May 16, I presented to the gathered crowd a silent memorial slide tribute to honor those who passed away during the previous 12 months. Over 1500 people attended Marc’s event, and it seemed we got through the weekend without having to share the news that yet another Sasquatch seeker had left us. But Paul Bartholomew has just informed me, as it turns out, we did lose another Bigfoot-involved individual on May 16th, exactly. Paul R. Gosselin, 57, of Troy, New York, died on Saturday, May 16, 2015, at St. Mary’s Hospital with his wife, Rhonda, by his side. Paul was the main eyewitness, as a teenager, during what would become known as the famed Abair Road sighting of August 1976. 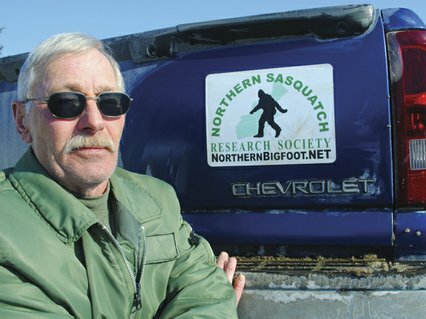 In recent years, due to his own encounter, Gosselin grew more and more interested in Bigfoot, and became a member of the local Troy-Albany, New York group, the Northern Sasquatch Research Center. 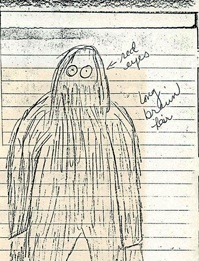 The year was 1975, when the first reported sighting of Sasquatch in Whitehall took place. Others have occurred in the area quite frequently since then. The witnesses seem to be dying recently, and that caused a problem for the crew of Finding Bigfoot. This spring they came to the Whitehall, New York area, to tape interviews for their next (and perhaps final) season. But some of the well-known eyewitnesses had passed away. The local newspapers even commented on this. Cliff Sparks, who reportedly saw Sasquatch on the local golf course, passed away a few years ago (see his obituary). 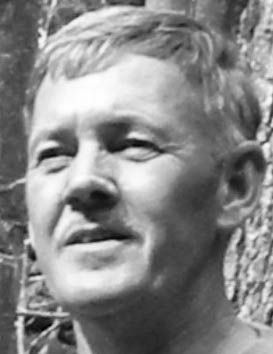 Another famous Bigfoot sighting was reported in Whitehall, near the county shed, by Dan Gordon, but he passed away two years ago (see his obituary). 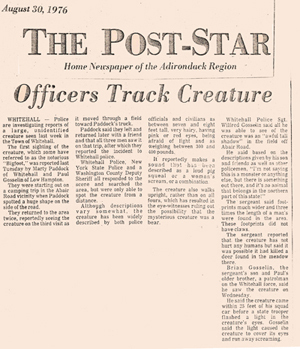 Paul Bartholomew, an area Bigfoot historian and coauthor of Monsters of the Northwoods, says it was the events in 1976, however, which caused Whitehall, New York to become a Mecca of Sasquatch sightings. The foci of those were Gosselin, his family and other eyewitnesses. 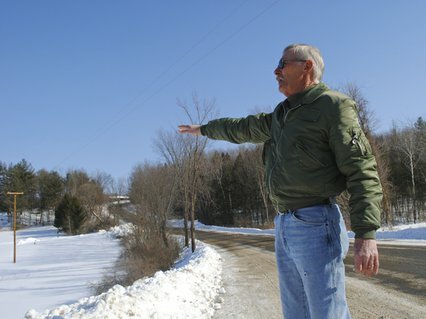 Paul Bartholomew points out the Abair Road telephone pole to a local news photographer. 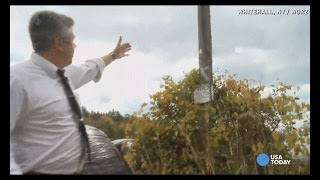 In a bizarre coincidence, on April 2, 2015, the Finding Bigfoot filmmakers showed up to get footage of the “famous” telephone (and power) pole from the Abair Road incident of 1976. As the film crew arrived, they found the pole was actually in the process of being taken down by National Grid workers. Over the years, the telephone pole had become a “landmark” for many witnesses and researchers, who would pose next to it. Part of the pole from the destruction of this landmark, the “No Trespassing” sign, and other nearby Whitehall material (like the Skene Valley Bigfoot logo flag) were saved by Paul Bartholomew and the Finding Bigfoot crew, and donated to the International Cryptozoology Museum. They are now on exhibition, in a display case, as you first enter the Museum. The details of the Gosselin interactions with Bigfoot are compelling, and they have been discussed often in the hominology literature. On August 24, 1976, Paul Gosselin, who at the time was 18-years-old, was out driving around with two friends, Marty Paddock and Bart Kinney. (Kinney is rarely mentioned.) The three were driving down Abair Road, in the Town of Hampton, near Whitehall, New York, when they heard a female screaming. They all initially saw the creature near the Abair Road telephone pole. A recent March 2015 article summarized the encounter again. Gosselin and Paddock glanced out into the vast field to see what the noise was coming from. The two reported to see a large, ape-like creature between 7-feet and 8-feet tall, darting toward their car. Immediately, they both got in the car and stormed into the Village of Whitehall to report what they saw to police. Gosselin’s brother, Brian, was the on duty police officer in the Village of Whitehall that night, when his father, brother and Paddock came flying back into the village. “They were so strung out with excitement and fear,” he said. The following night was Gosselin’s night off from work, so he decided to go out and see for himself. 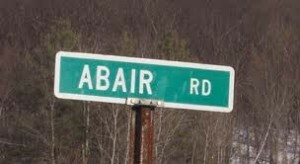 Gosselin was down in the meadows, where his father and brother had seen the creature, while a state trooper was up at the top of the hill on Abair Road. The two were communicating via radio. The trooper sped away, leaving Gosselin alone. He said he continued to hear noises, “not twigs snapping, limbs snapping,” and something suddenly made him decide to turn his spot light in the direction of the sound. Gosselin said at that moment he had a million different thoughts run through his head, when suddenly the creature turned and retreated, making a lengthy guttural noise. Gosselin sat in the field for about 15 more minutes, trying to figure out what he had just encountered. “I knew everything it wasn’t, it wasn’t a man, it wasn’t a bear, it wasn’t an ape,” he said. Since that moment, Gosselin has been 100 percent a believer. 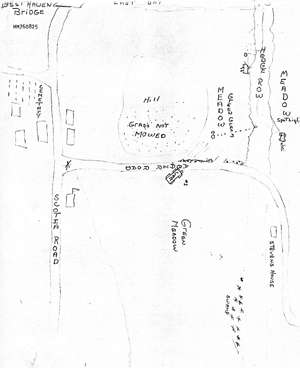 It was the Abair Road sightings that Bartholomew says have made Whitehall a haven of Sasquatch activity. Our condolences to Paul Gosselin’s family and friends. He leaves many people behind. He was born August 25, 1957, in Glens Falls, New York, to the late Wilfred and Pauline Gosselin. Paul graduated from Whitehall High School and joined the Army National Guard. As his local Post-Star obituary noted, Paul was a roofer by trade. He loved the outdoors, whether he was mowing the lawn, planting his garden or building bird houses. He was also good at carving walking sticks and building picnic tables. He was a hunter and an avid fisherman; he and Rhonda would spend hours on Lake Champlain fishing. He also enjoyed riding his motorcycle. Paul met and married his wife, Rhonda, in July 2011. Paul was predeceased by his parents, Wilfred and Pauline Gosselin; his sister, Gale; and brothers, David and Bruce. Besides his wife Rhonda, he is survived by his stepson, Craig Gabert (Jen) of whom he thought the world; his son from a previous marriage, Jonathan (Stephany) of Georgia; a daughter, Tiffany, of California; and a grandson, Peyton, of Georgia. He is also survived by his brothers, Mike (Sue) Gosselin of Fort Ann, New York, Donald Gosselin of Whitehall, Brian (Sue) Gosselin of Whitehall (the same one who saw a Bigfoot the night after Paul’s sighting), Barry Gosselin of Vermont, and Russell Gosselin of Whitehall; his sisters, Becky (Rickie) DeLong of Athol, New York, and Jill (Mark) Jones of Rutland, Vermont. Paul is also survived by many nieces and nephews, whom he loved very much; he enjoyed spending time with them all. Paul’s brother Brian (above) has been interviewed about the Bigfoot sighting he had on August 25, 1976, the day after Paul’s and his father’s encounters. Brian Gosselin appeared on Outdoor Life Network’s Mysterious Encounters and History Channel’s MonsterQuest retelling his sighting. Paul Gosselin told some of his friends that he journeyed to the International Cryptozoology Museum in 2014, and talked to someone that he thought was me. I’m hoping it was partially true, as I would have shook his hand for all the fine work he’d done with Bigfoot.